There are no consistent standards of content or quality of an MBA programme – as these are internally determined and assessed by the university itself. That’s why one MBA degree is not comparable with another. 2. How to get the qualification? You have to pass a maximum of 13 exams in English and have relevant practical experience which you can gain in any business sector you are working in. 4. ACCA professional qualification covers all areas of business, from financial statements, management accounting, business taxation & law to audit and also business ethics! 5. Many multinational and local firms seek or require their employees to study for this prestigious qualification. You will need to complete 13 papers in total. A maximum of nine papers in the Fundamentals level are available for exemption. 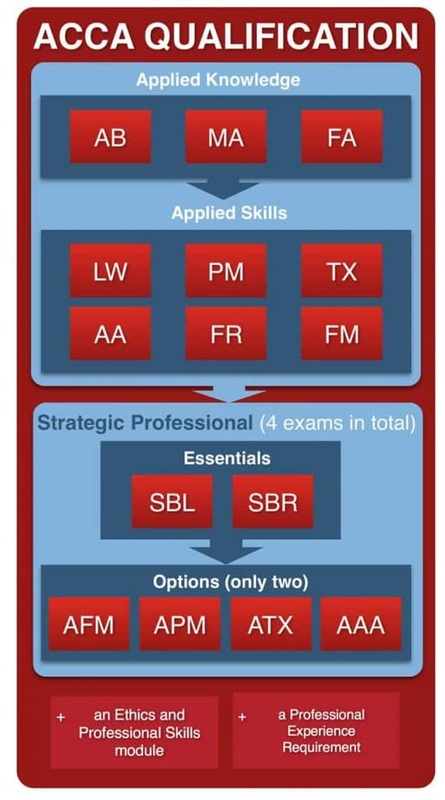 In order to become an ACCA it is necessary to pass 13 examinations (although if you have any accountancy or business related degree from university you are likely to be exempt from some of the examinations). You can study in any way you like – you can attend courses, study at home with books, or study on-line. The exams are held 4 times a year – in March, June, September and in December – and at each sitting you can attempt as many exams as you like (up to a maximum of 4 at one sitting), or no exams at all! However, you must complete all the exams within a period of ten years. Exams are held in almost all countries throughout the world. You must register as a student with the ACCA before starting to take the examinations. These costs do not cover the cost of studying for the exams. This depends on how you choose to study.